In 2009, as part of the hugely successful Fly My Pretties travelling show, Eva emerged as a star in the making. Delighting audiences across New Zealand, and sparking the interest of music reviewers, she set a tone that strongly hinted at her talent. Opening the lavish production with the sparkling ‘Old Friend’, with Fly My Pretties creator Barnaby Weir (The Black Seeds), Eva showcased her strikingly crisp voice and seamless mastering of both the mandolin and violin in the Fly My Pretties band. She returned to the stage, ‘her dark side was a wonder to behold’ (The Press, Christchurch) with her own composition ‘Lie in the Land’, described by Dominion Post as one of the ‘stand out tracks’ with her ‘sharp, raw voice,’ a song that had critics clamouring for more. 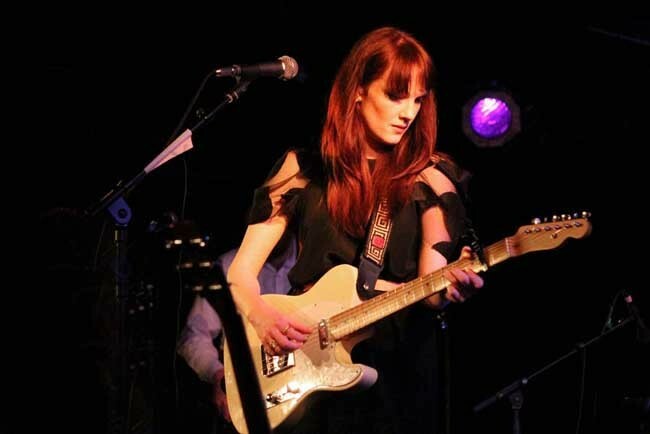 As part of her rapid ascent Eva has sung Beatles songs for the Royal NZ Ballet, performed with Anna Coddington, Ricky Boyd’s Boomshack Band, on the 2009 Tui Music Award-winning Trouble on the Waterfront band (led by her father, industry stalwart Chris Prowse) and supported Family Cactus, and the legendary Wanda Jackson. But that was then, and the time is now for the emerging star. New Zealand will see and hear what Eva Prowse is truly capable of. Her debut album I Can’t Keep Secrets is a showcase of Eva’s prowess as a singer, songwriter and musician, and the star-studded band stands as a testament to her recognisable talent – to have the best players, one must have the goods first. Meandering delicately through ten tracks of country and folk, layered on a foundation of melodic pop sensibilities, Eva sings of the loves, dreams, boredom, heartaches and highs of living a modern life. It is music to move to, tunes that go places but with a heart of home. Produced by Samuel Flynn Scott (The Phoenix Foundation), and recorded at the Surgery Studio with Lee Prebble, the album boasts a collection of musicians not rivalled in contemporary New Zealand music: Ryan Prebble (Spartacus R), Tom Callwood (Little Bushman), Ricky Boyd (Good Laika, Boomshack Band), Chris Prowse (The Waterfront Collective), Tessa Rain (Fly My Pretties) and Rio Hunuki-Hemopo (Trinity Roots). Together they make sweet music and a perfect accompaniment to one of New Zealand’s most undeniable rising talents.